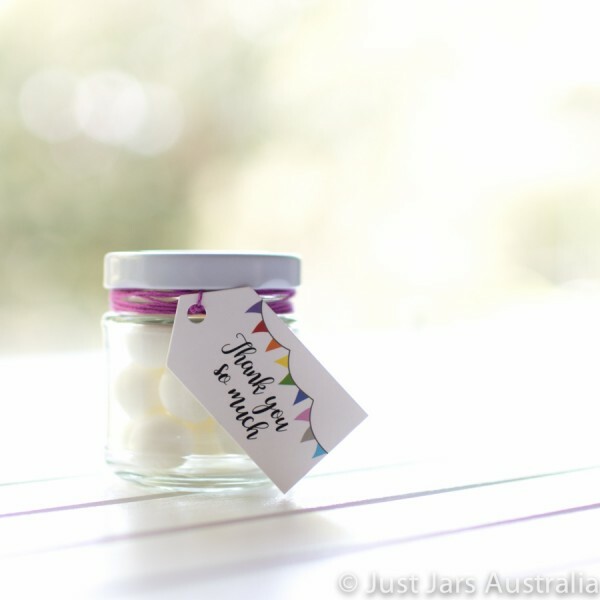 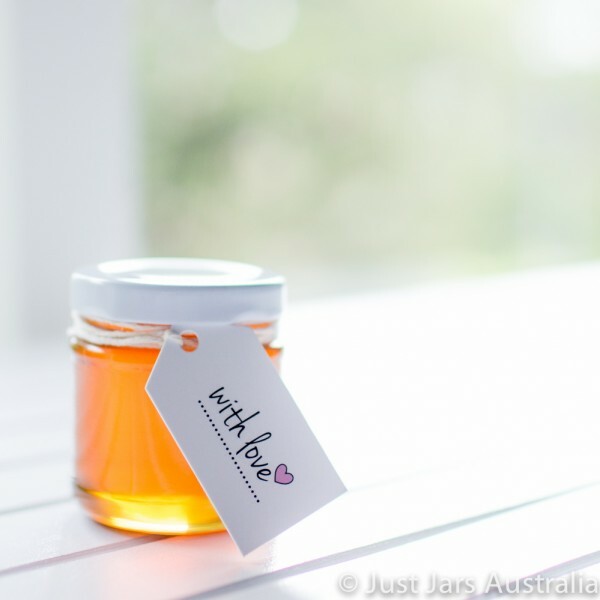 However many jars you purchase, you will receive the same quantity of tags in one of our available designs. 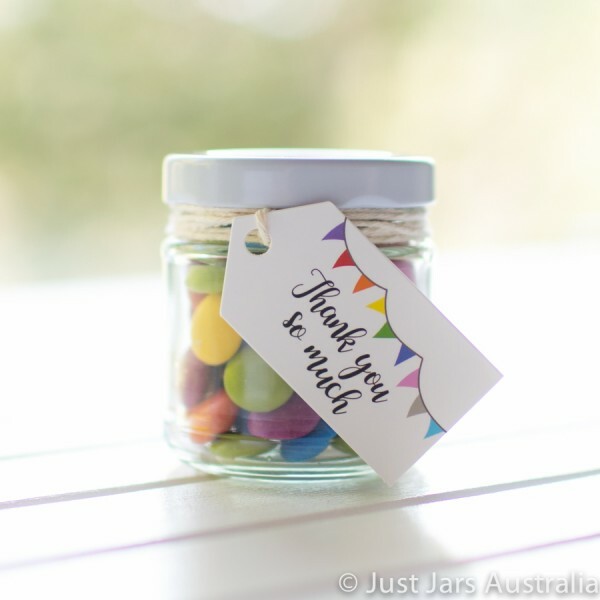 Each tag is die cut from high quality thick 400gsm artboard with a matt cello coating on both sides (which does allow you to write a message in biro/ballpoint pen should you wish). 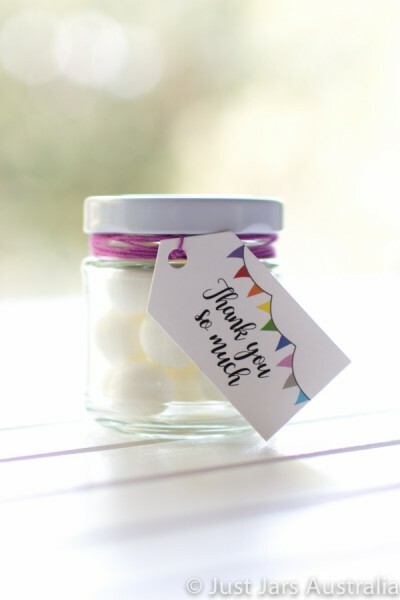 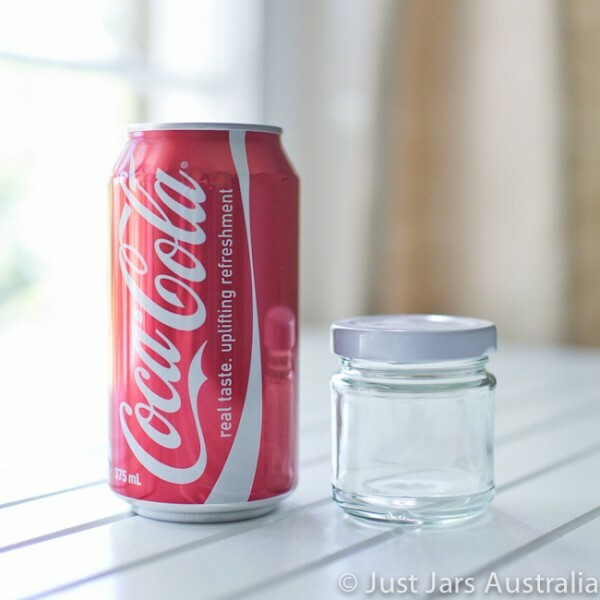 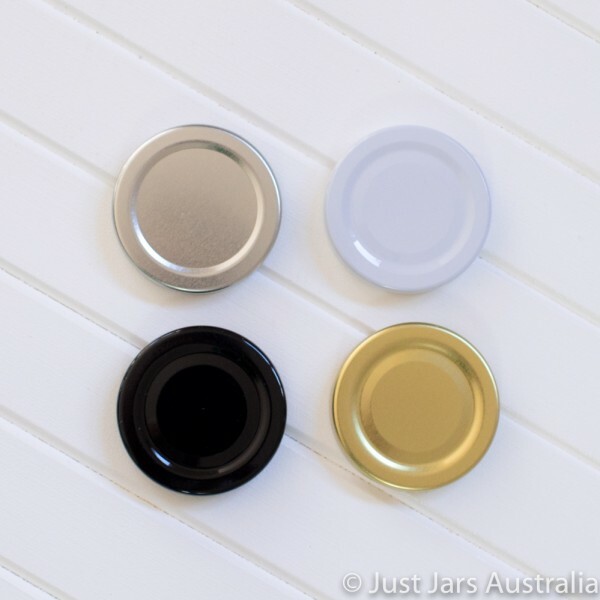 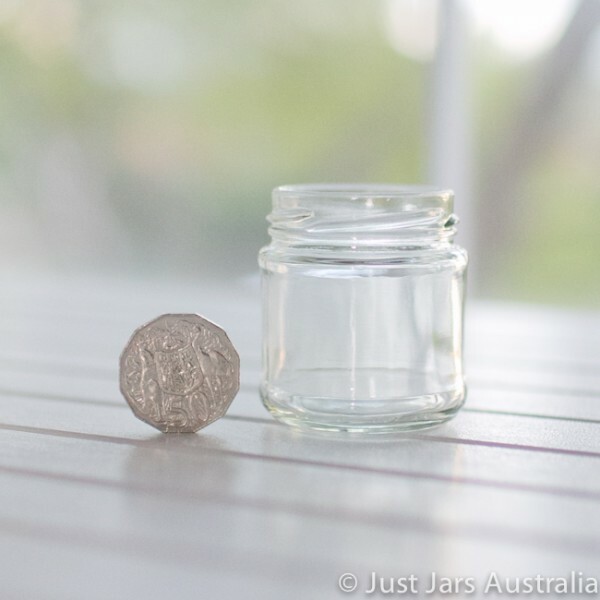 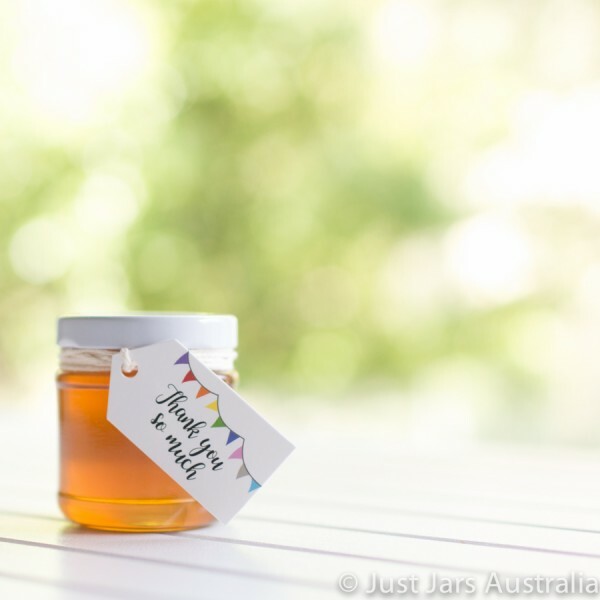 The tags supplied with our 100ml round jars measure approximately 58mm in length x 31mm in width, and have a pre-cut hole allowing you to attach them to the jars with ribbon, string or twine (not supplied).